The Trident Series 65 console offers a great many facilities in a very compact space, the uses to which the console can be put are many and in fact effectively encompass any use that can be imagined for a sound recording console. The most common of these uses include: multi-track recording, sound reinforcement, broadcast, mobile recording, and theatre sound. Very often the console can be used for a dual purpose such as providing live sound reinforcement whilst at the same time being used to make a multi-track recording. 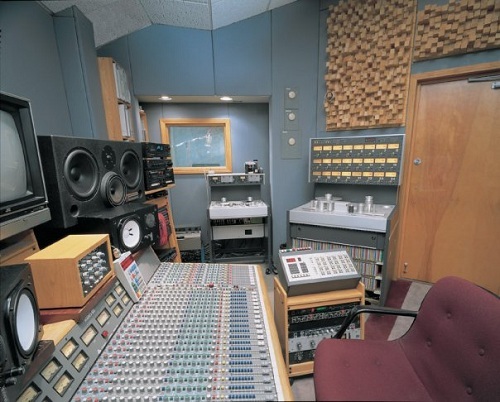 In this example the Series 65 can also be used to perform a sophisticated master mix-down after the recording, quite comparable with that obtainable iin a major recording studio. Because of an ingenious mechanical construction it is possible to expand the Input section of the Series 65 by the addition of 8-way expander sections up to a maximum of 56 inputs. When the console is expanded in this manner, there is no visible sign that the console has been Increased in size unless it is expanded after Its original purchase in which case the front arm rest will need to be lengthened if it is required to remain in one continuous length. If required, instead of fitting input modules to an 8-way expander section it may be fitted with a 240 point professional 'bantam' patch-bay. This greatly Increases the versatility of the system and eliminates the need to reach the back of the console in order to re-patch equipment. This patch-bay is supplied unwired by Trident as it would be impossible to stock patch-bays to cater for the wide variety of input/output configurations available with Series 65. For portable applications, owing to its compact size the Series 65 will readily adapt to use in a flight case. Because the main inputs and outputs of the console are electronically balanced, ground loops and hum etc. can safely be eliminated when used in a portable application where the console is constantly being connected to different types of equipment. A separate power supply also ensures that stray radiated fields can be avoided in various types of buildings. Because the Series 65 is a fully modular system, maintenance and fault finding is a very simple affair. Each module employs a high quality glass fibre printed circuit board that has clearly printed component identification. All Integrated circuits are mounted in sockets so that replacement is extremely quick and does not require a soldering iron. Foundational text courtesy of the Trident Series 65 console operations manual. 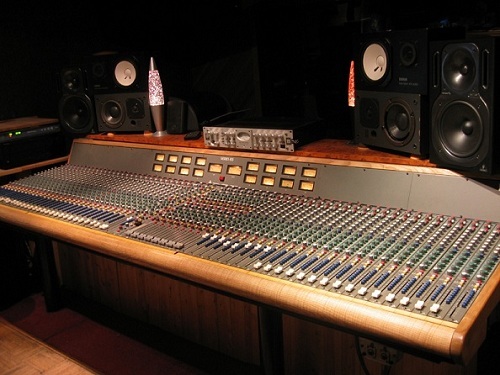 - Trident Series 65 Console - Photo courtesy of Larry Janus. - Trident Series 65 56X16X2 at Fiasco Bros. Recording Studios. Photos courtesy of Len Osanic of Fiasco Bros. Recording Studios. 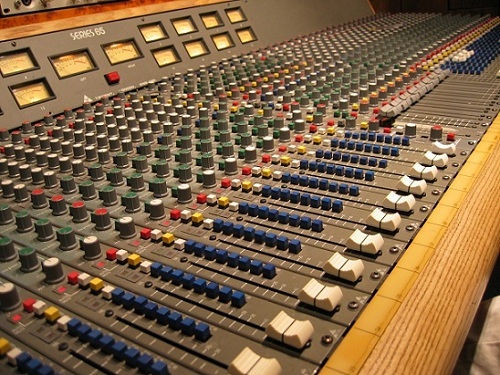 Do you have content, to add, about the Trident Series 65 Console or associated topics? Please feel free to Share it, here!